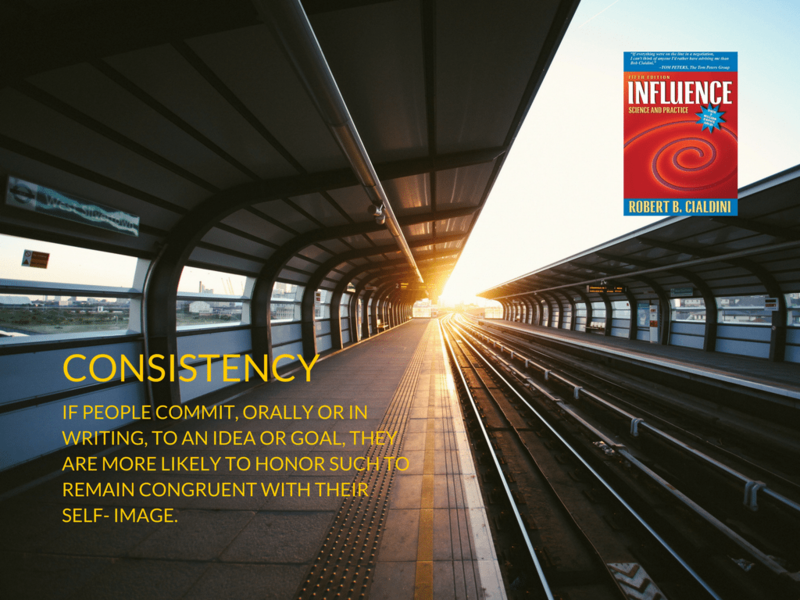 I use the book Influence Science and Practice by Robert Cialdini for literally every one of my startup and marketing clients. I also use it to teach MBA students how to present, persuade and sell better. It is the bible of persuasion and you should be applying it to every aspect of your business and startup. I’ve created a cheat sheet that you can download at the end of this post that also includes the primary rules of 2 other books that are critical to marketing success – Contagious by Jona Berger and the classic Made To Stick by Chip Heath and Dan Heath. The download also contains the slides you will see below in PDF and PNG formats so you can use them for your own pitches or hang them up in your office to remind you of the primary rules for persuading people and spreading your message. 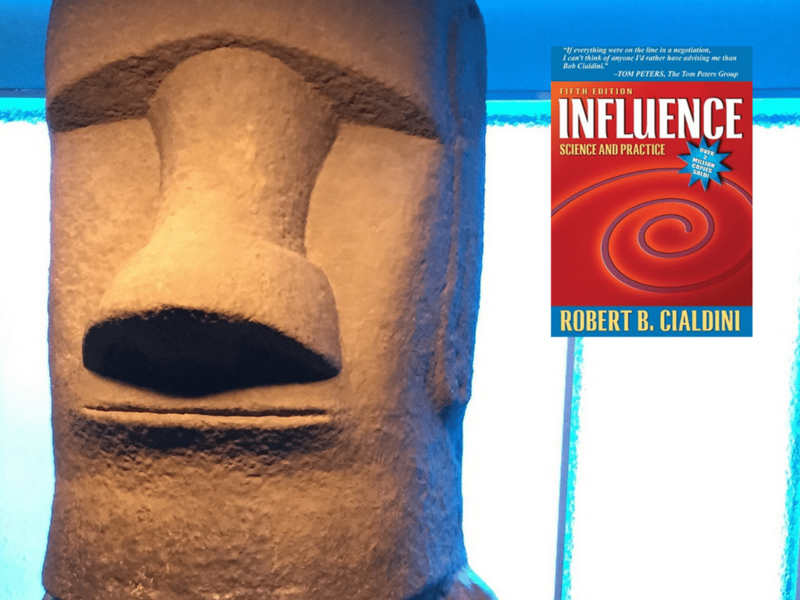 This book will make you think about every strategy you have and how you relate with and persuade your prospects and customers. I highly recommend it. 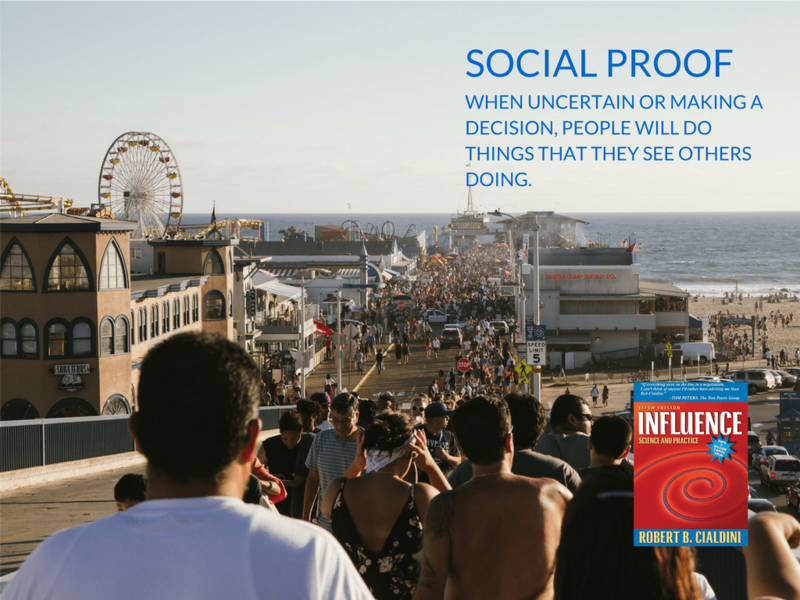 I took the 6 rules of influence in the book and put them in a deck so they are easily accessible and a reminder of what you should be thinking about. Like any tactic, the 6 Rules Of Persuasion(as I like to call them) can be used for good or evil. Please play nice. There are enough scumbags in the world. 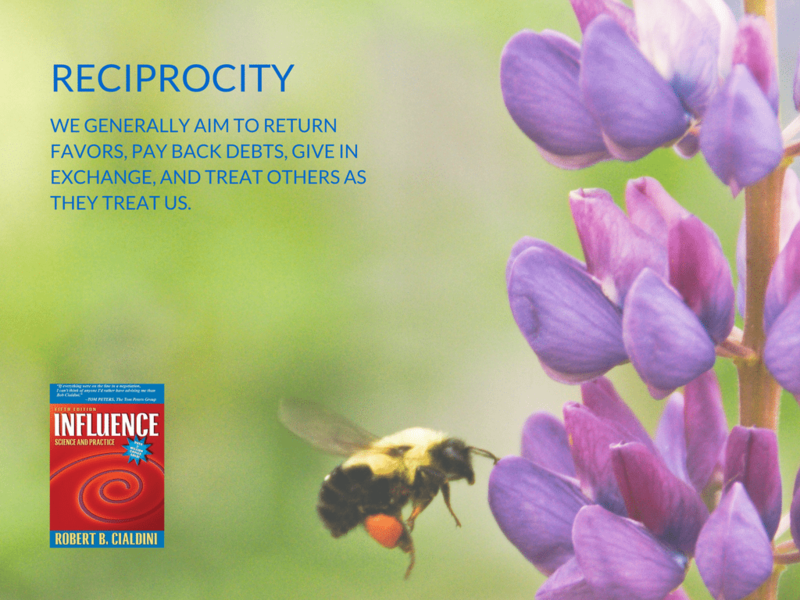 We generally aim to return favors, pay back debts, give in exchange, and treat others as they treat us. If people commit, orally or in writing, to an idea or goal, they are more likely to honor such to remain congruent with their self- image. When uncertain or making a decision, people will do things that they see others doing. 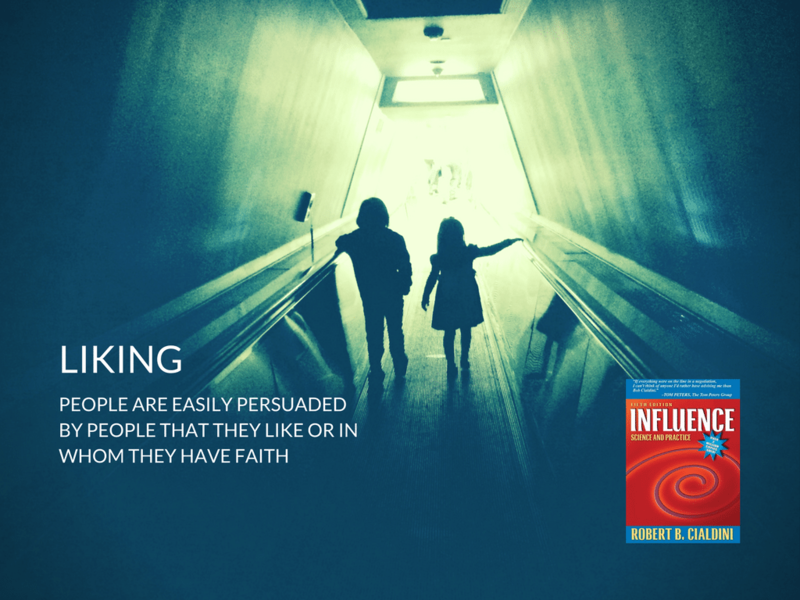 People are easily persuaded by people that they like or have faith in. 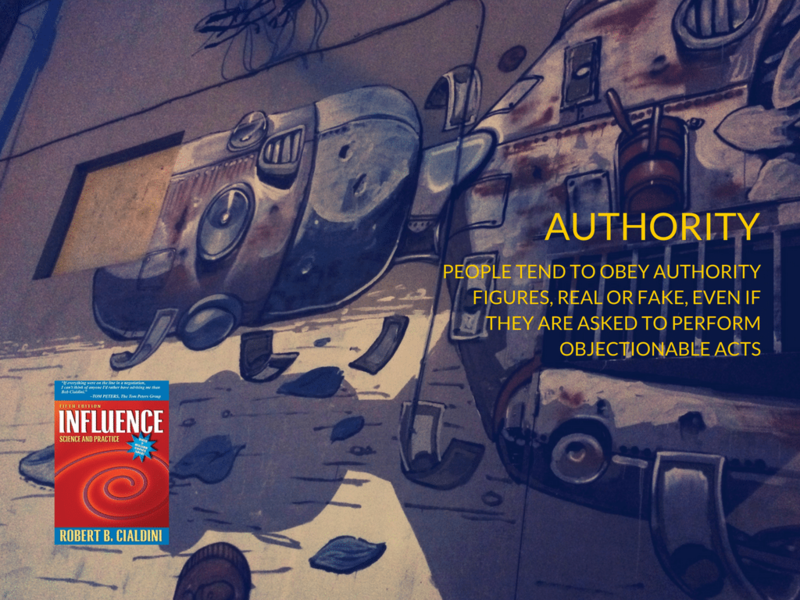 People tend to obey authority figures, real or fake, even if they are asked to perform objectionable acts. 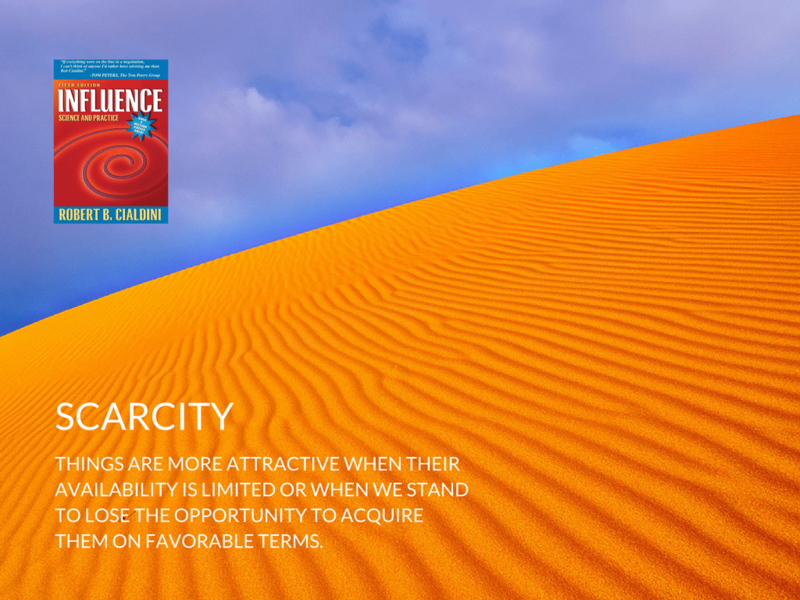 Things are more attractive when their availability is limited or when we stand to lose the opportunity to acquire them on favorable terms.